My First Walk & Wild Camping Video. With the sudden boom in Wild Camping videos on YouTube, I felt it was time to become a part of that Vlogging community. 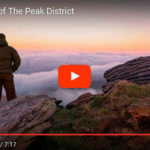 I decided to create my first Walk & Wild Camping Video whilst walking up Kinder Scout in The Peak District. Over the past 12 months or so, I have gained lots of valuable information from viewing other peoples wild camping videos. I find that video footage gives the viewer more of real life experience and offers more than a still. Although I enjoy documenting my missions in blog form, and accompanying them with photographs, I think it is far easier to put your point across on film. 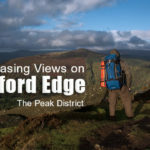 I am fully aware that my editing skills need polishing, but this is my first attempt at creating a video of my walk & wild camping. 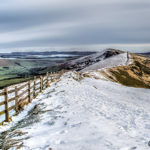 The walk is from Hayfield (Kinder Road), past Kinder Reservoir, up the River Kinder, followed by a scramble up towards the Pennine Way. Although it was persisting down with rain when I left Nottingham that morning. I was lucky enough to get half decent weather whilst I was walking. I managed to find a nice spot to use as base camp. An area of level ground at the side of a rock formation. 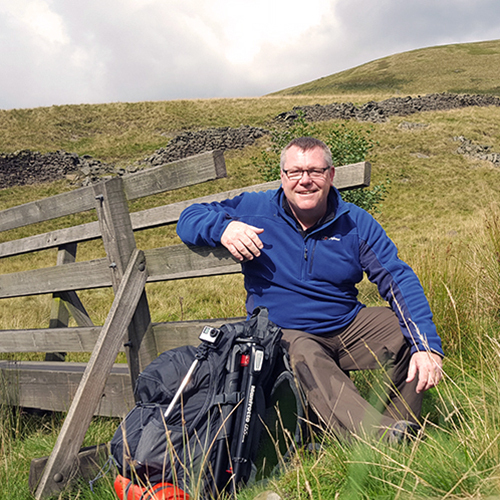 My tent was literally a stones throw away from the main Pennine Way footpath. Although I wasn’t really happy with pitching so close to the path, I needed some kind of shelter from the increasing wind. As I mentioned before. This is my first effort at videoing one of my wild camping trips, so please go easy with the criticism. I welcome contact from anybody who can offer constructive criticism, and provide me with any valuable information to help me better my future Vlogs. Grab your popcorn, sit back, and I hope you enjoy!! 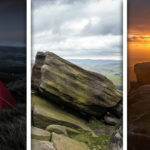 If you would like to follow me on my future walking & wild camping missions. You can subscribe to my Chasing Views You Tube channel by clicking the red subscribe button on the right. Many thanks for watching.